The Latest and greatest 5″ Garmin Nuvi Now in Stock!!! Garmin’s most advanced GPS Navigator to date is now in stock and available for immediate shipment. 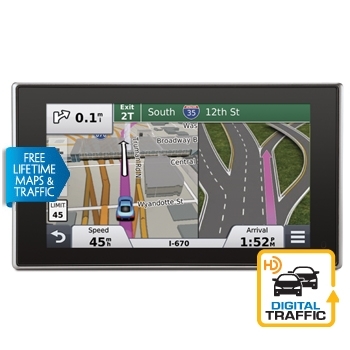 The Nuvi 3597LMTHD offers a 5″ display, Lifetime Maps and HD Digital traffic, Voice Activation, Lane Assist with junction view, Smartphone Link and So So much more! The wait is over, gets yours today at TheGPSStore.com! Garmin quatix, Now in Stock! Be the first to get your hands on the Latest Garmin technology. The Garmin quatix GPS watch includes a Preloaded worldwide basemap and accepts up to 1,000 waypoints it also includes an altimeter, barometer, 3-Axis compass and temp sensor and can wirelessly share data with other compatible Garmin marine products and apps. Get yours today, available for immediate shipping!